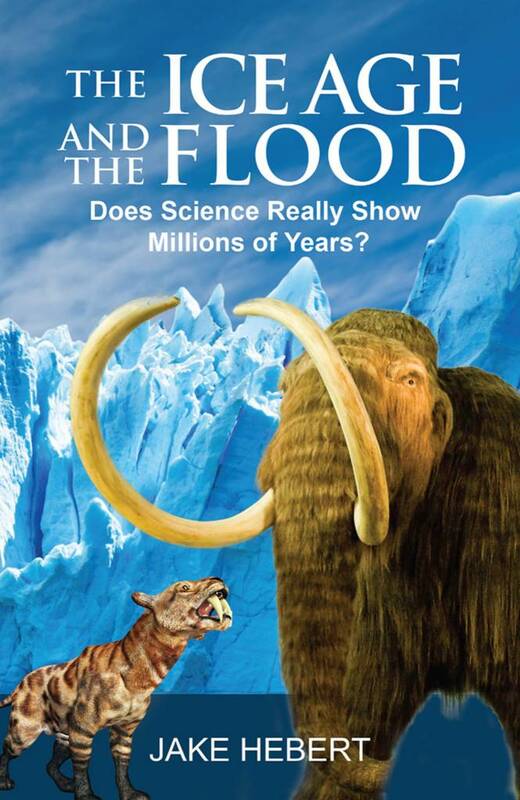 Creation scientists have long argued that the Genesis Flood is a vastly superior mechanism for explaining an Ice Age. Secular scientists claim there have been many ice ages in Earth history, although the supposed evidence for these other ice ages is very weak. 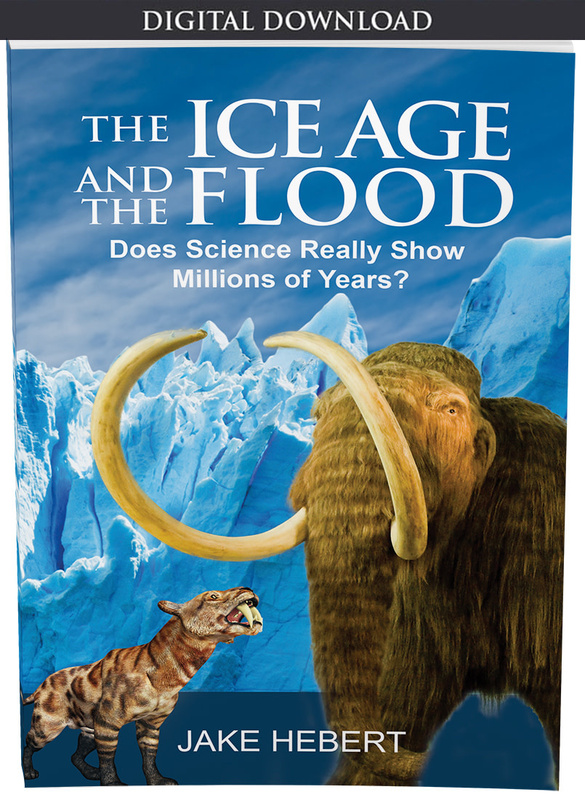 The popular secular theory for explaining these supposed ice ages is the Milankovitch, or astronomical, ice age theory. 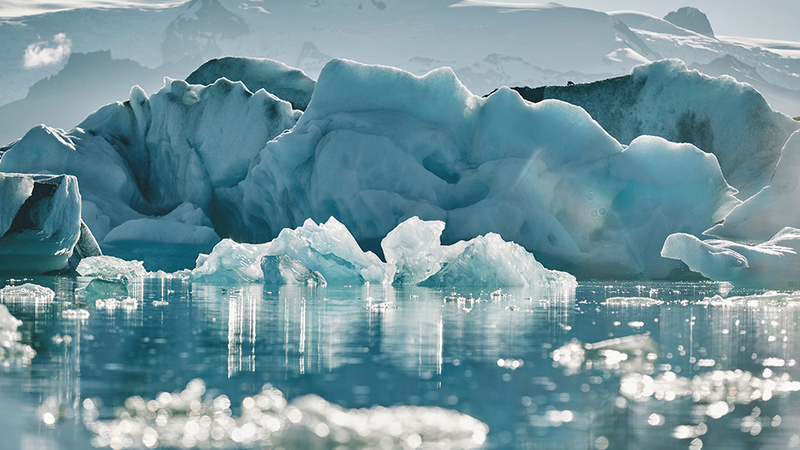 This theory claims that the timing of the ice ages is controlled by slow, gradual changes in Earth’s orbital motions. However, secular scientists made more revisions to the data sets that were used in the analysis. For the sake of rigor, it seemed like a good idea for ICR to re-do the analysis taking those changes into account. These results have been recently published, and are now accessible online.14 Because these calculations took into account revisions that secular scientists have long ignored, this is arguably the most up-to-date test of the astronomical hypothesis, using these data sets, that has been performed so far. Again, it should be emphasized that these calculations were performed using the exact same methodology and assumptions made by the Pacemaker authors, but taking into account the after-the-fact revisions to the data made by secular scientists themselves. Not surprisingly, these new results strongly disagree with the astronomical theory. The bottom line results are shown in the paper’s Figures 12 through 20. If the astronomical theory is correct, then one would expect the “peaks” and vertical lines in the graphs to align with each other. As is obvious from the accompanying figure, as well as the figures in the paper, this is almost never the case. Unfortunately, the short-cut method cannot be used to verify these particular results, due to the multiple changes made to the data sets, but it is hardly surprising that such changes would further weaken this supposed evidence for the astronomical theory. Why is this research important? Because many secular scientists now assume the theory to be correct, the theory has become an essential dating method in their geochronology “toolkit.” Secular scientists frequently use it to assign ages to sediments and ice cores. Believe it or not, the theory is even used to calibrate dating standards that are used in one of the most popular radioisotope dating methods—argon-argon dating.15,16 Without a firm basis for the astronomical theory, hundreds, perhaps thousands, of secular age assignments are called into question, even by secular reckoning. In fact, not only are the age assignments themselves thrown into doubt, but any conclusion in any technical paper that depends on these age assignments is also called into question. This is a geochronological train wreck! Original ICR research revealed serious problems with this iconic paper. Christians today are under tremendous pressure to accept the doctrine of an old Earth. The apparent agreement between multiple, supposedly independent dating methods, is seen as powerful evidence for the secular old Earth story. But as this research demonstrates, this apparent agreement can be more superficial than real. When one looks deeper into the technical details, it becomes obvious that the methods don’t always agree. But don’t hold your breath waiting for secular scientists to acknowledge this. In fact, one secular paper appears to be, among other things, an attempt to quietly and discreetly justify the age assignments used in the Pacemaker paper—21 years after the fact.17 In essence, secular scientists are claiming that the Pacemaker authors fortuitously obtained the right answer, even though they used incorrect reasoning. But if this post hoc justification is so convincing, then why have they not candidly acknowledged it, to either the larger scientific community or the general public? Even though the initial results from this ICR research were published almost two years ago, the secular scientific community still has yet to candidly acknowledge what should be glaringly obvious problems in this iconic paper. 1. Morris, J. D. 1993. Was There Really an Ice Age? Acts & Facts. 22 (8). 2. Oard, M. J. 2007. Astronomical troubles for the astronomical hypothesis of Ice Ages. Journal of Creation. 21 (3): 19-23. 3. Hays, J. D., J. Imbrie, and N. J. Shackleton. 1976. Variations in the Earth’s Orbit: Pacemaker of the Ice Ages. Science. 194 (4270): 1121-1132. 4. Hodell, D. A. 2016. 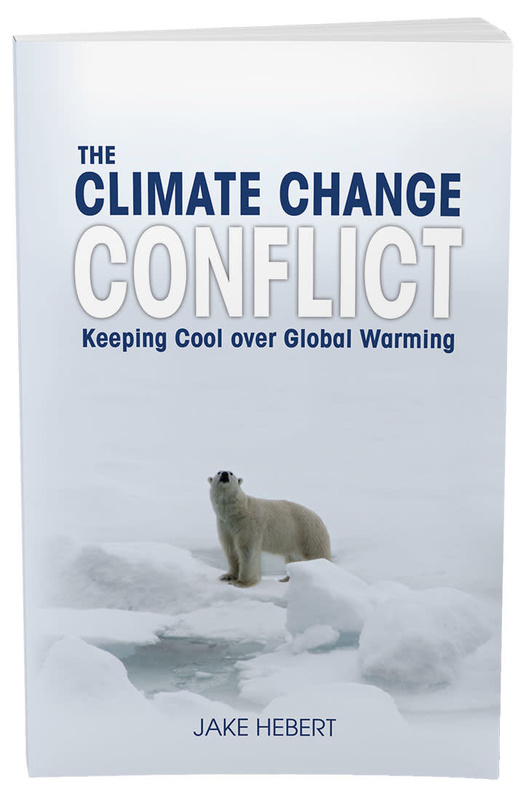 The smoking gun of the ice ages. Science. 354 (6317): 1235-1236. 5. Maslin, M. 2016. In retrospect: Forty years of linking orbits to ice ages. Nature. 540 (7632): 208-210. 6. Shackleton, N. J. and N. D. Opdyke. 1973. Oxygen Isotope and Palaeomagnetic Stratigraphy of Equatorial Pacific Core V28-238: Oxygen Isotope Temperatures and Ice Volumes on a 105 and 106 Year Scale. Quaternary Research. 3 (1): 39-55. 7. Hebert, J. 2016. 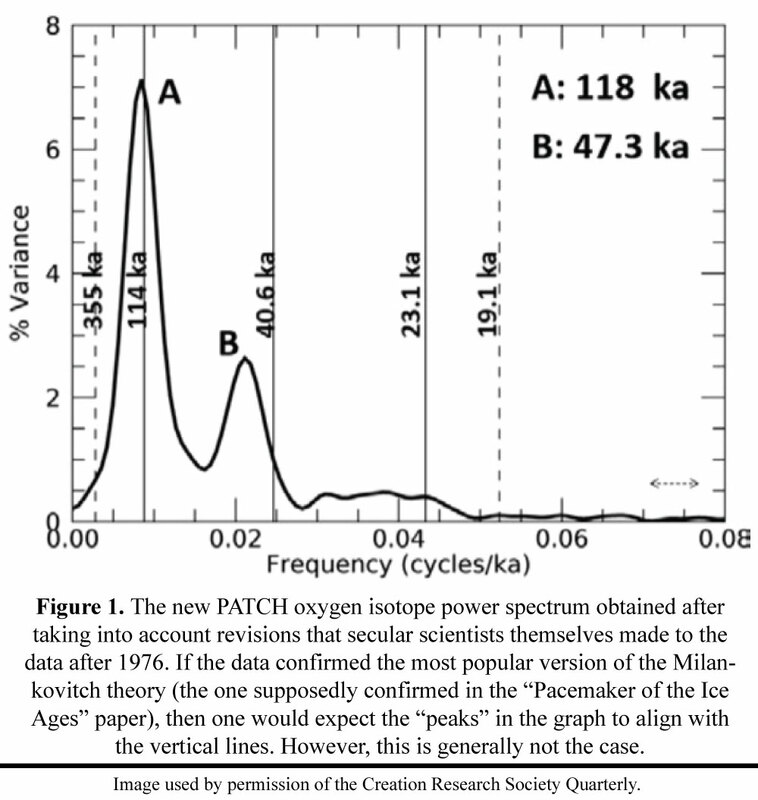 Should the “Pacemaker of the Ice Ages” Paper Be Retracted? —Part 3. Answers Research Journal. 9: 229-255. 8. Hebert, J. 2016. Milankovitch Meltdown: Toppling an Iconic Old-Earth Argument, Part 1. Acts & Facts. 45 (11): 10-13. 9. Hebert, J. 2016. Milankovitch Meltdown: Toppling an Iconic Old-Earth Argument, Part 2. Acts & Facts. 45 (12): 10-13. 10. Hebert, J. 2016. Milankovitch Meltdown: Toppling an Iconic Old-Earth Argument, Part 3. Acts & Facts. 46 (1): 10-13. 11. Hebert, J. 2017. A Broken Climate Pacemaker? – Part 1. Journal of Creation. 31(1): 88-98. 12. Hebert, J. 2017. Testing Old-Earth Climate Claims, Part 1. Acts & Facts. 46 (11): 10-13. 13. Hebert, J. 2017. Testing Old-Earth Climate Claims, Part 2. Acts & Facts. 46 (12): 10-13. 14. Hebert, J. 2017. The “Pacemaker of the Ice Ages” Paper Revisited: Closing a Loophole in the Refutation of a Key Argument for Milankovitch Climate Forcing. Creation Research Society Quarterly. 54: 133-148. 15. Hebert, J. 2016. Deep Core Dating and Circular Reasoning. Acts & Facts. 45 (3): 9. 16. Hebert, J. 2014. Circular Reasoning in the Dating of Deep Seafloor Sediments and Ice Cores: The Orbital Tuning Method. Answers Research Journal. 7: 297-309. 17. Raymo, M. E. 1997. The timing of major climate terminations. Paleoceanography. 12 (4): 577-585. 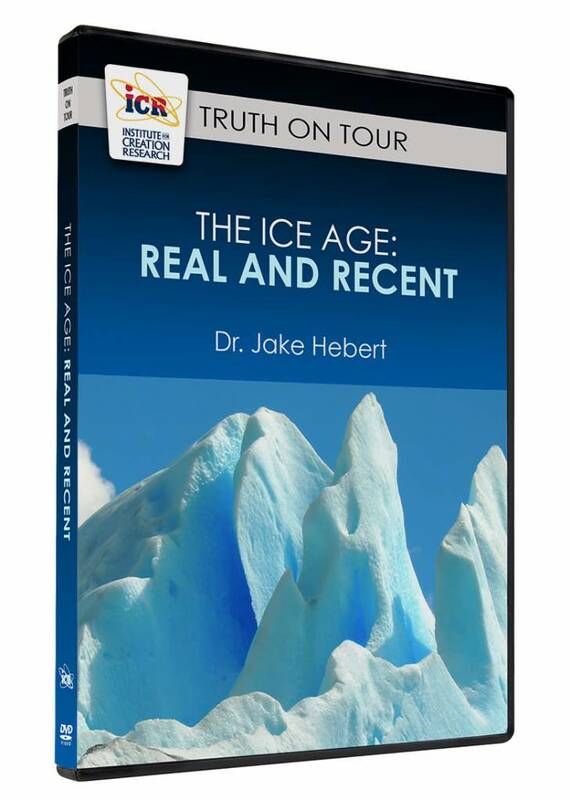 Dr. Jake Hebert is Research Associate at the Institute for Creation Research and earned his Ph.D. in physics from the University of Texas at Dallas. Scientists Late to Recognize Human and Giant Mammal Coe.,.